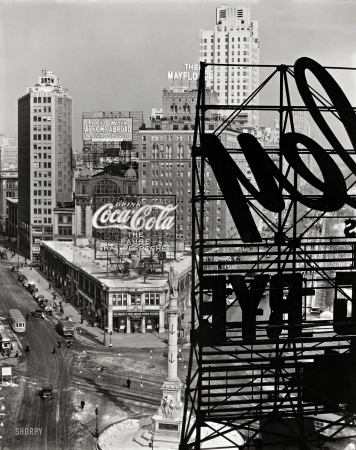 8x10 gelatin silver print by Berenice Abbott. Feb. 10, 1936. "Columbus Circle, Manhattan -- Looking northwest from above the circle."